I’d love to know how to be able to go out, grow and scale my business and be able to sell it. I’d love to find a place where I could, in a trustworthy environment, be able to find a great business that I could buy. I’m not looking for the traditional thing. I’m not looking for a brick and mortar business. I’m not looking for a franchise. I’m looking for something unique, maybe an online business. In this episode, we have got a definitive expert to be able to talk about these topics and a whole lot more. He’s someone I got a chance to meet. He’s the Founder of Rhodium Weekend, which is a community of people who are building and growing businesses as well as an environment to sell businesses in a trustworthy way. His name is Chris Yates. He’s a digital entrepreneur. He successfully started, grown and sold several businesses. He has been an advisor on over $100 million in online business acquisitions and exits. 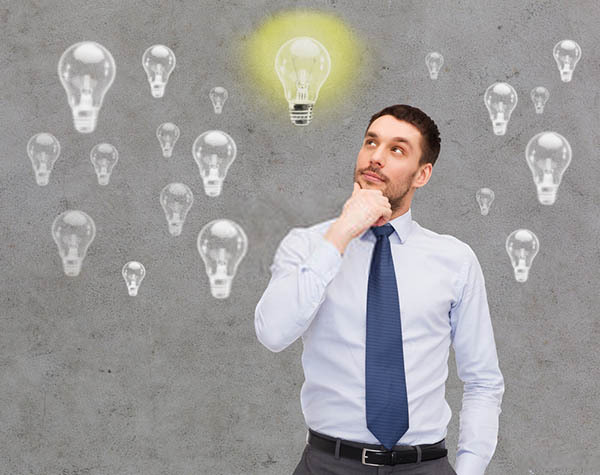 Do you think he has a few insights and strategies of how you can build your business? How you can build your platform and create value for it to potentially exit and/or spend more time working on the business? Spend more time doing the things you love to do. Spend more time in your genius or potentially free yourself up from the business so that you can go spend time doing what you love to do. Maybe it’s your family time, maybe it’s travel, maybe a whole lot more. Chris, welcome to the show. How are you? I’m doing well, Dan. Thanks for having me on. Typically, we find on this journey with Growth to Freedom that most people have a story of why they’re doing what they’re doing. Can you remember back when you were younger, what was that moment when you realized that you were being called to be a business owner, be an entrepreneur, go out and make a bigger impact? It was probably early college. I had a good friend, a person in my dorm who came to me. He had a dot-com startup. He was looking for somebody to help him develop the software and things behind the scenes in order to make that thing work. This was right around the whole dot-com boom. I hadn’t thought about going down the path of being an entrepreneur prior to that, but I was like, “I’ll give it a shot.” He gave me some equity in the company and that one ended up failing right around the time of the dot-com bust. It was a real stepping stone for me in terms of getting me on that path and interested in that topic. Speaking of equity, in all types of circles, I hear coaches, consultants, advisors who are excited to go in. They’ll work with a company and then they potentially get equity in the business. What do you see is the downside of going for the equity play in a business either performance-based or a combination of you’re charging fees and/or getting equity in them? One of the things my mentors told me always was ownership does not equal doership. What that means is in some cases, you have to put on the shareholder hat and in other cases, you have to put on the employee hat. In other cases, you may have to put on a different hat in your business. Oftentimes, people link and co-mingle those concepts in my opinion. Just because you own something, it doesn’t necessarily correlates to the amount of time you put into that thing. You have to put on the shareholder hat and say like, “Is this equity that I own performing as an investment as if it were a shareholder investment?” Then you, as an employee, have to look at it from the lens of like, “Am I creating value for the shareholders? Am I getting paid properly for the work that I’m doing?” and things like that. The hardest thing on that is the balance between those two. In addition, if you’re going for the equity play, it typically means that you’re also becoming a partner in a company. Partnership is like marriage, you can’t go into those lightly. What do you see as some of the biggest mistakes, whether it’s a partnership or you’re looking at selling a company? You find somebody you’ve done some due diligence, you think their values meet yours. Here you are, you’ve put your blood, sweat and tears, a lot of money, a lot of time into a business. Then here you are, you’re going to hand it off to somebody to carry your baby you’ve generated out of thin air, in many cases. What do you see as some of the big mistakes people make when looking to sell and/or work in partnerships? A lot of the work that I do is more on the buyer side of things. Everything that a buyer is looking for is the same thing that a seller or somebody considering selling should be thinking about. Typically, the reasons deals don’t end up happening is because the financials were not taken care of. A lot of this may seem so basic, but if you can’t produce a profit and loss statement that’s accurate from an actual bookkeeping system that’s been double entry, it’s been reconciled with bank statements, you don’t have tax returns, you’re going to limit your buyer pool. 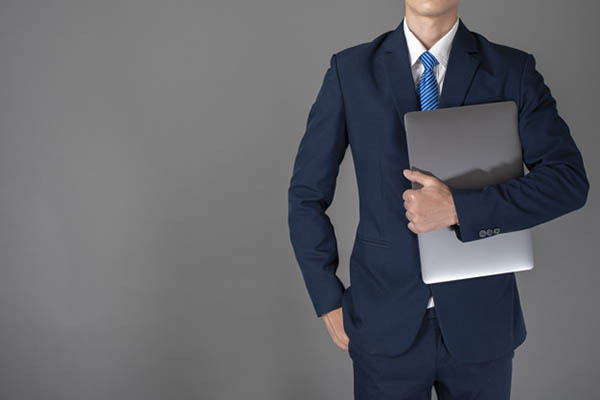 If you haven’t taken care of that 101 financials tax returns and things like that, that’s essentially something that you’ll need to do if you want to sell for anything more than a few $100,000. A lot of buyers, in that case, will be using bank loans and those required tax returns and proper financials and all of that good stuff. What about values? Where do you see the core values play into the buying, selling relationship overall? Buying A Business: Everything that a buyer is looking for is the same thing that a seller should be thinking about. It depends. There’s the “financial buyer” who typically looks at a business from the perspective of, “Is the value on this business going to give me the proper return, the risk-adjusted return?” If we talk about somebody who’s a financial buyer, but they’re also trying to buy their way out of a lifestyle. A lot of people I work with have been working in the corporate world for a long time. This is their way to buy themselves a new lifestyle, essentially time, location freedom and things like that that come from online businesses. They want to have an interest in what they’re doing. If they could look at two same businesses that are valued, similar cash-flow, similar evaluation, etc., one is a topic that they’re super passionate about and the other one is something they took care less about. I do find that people tend to lean towards the thing that they’re excited and passionate about. I generally find that rapport is an important piece to the puzzle when it comes to finding a good fit between buyer and seller. If a buyer can legitimately show that passion and interest in the space that the business is in, that helps with the whole deal and making things go smoothly and having there be a good fit. Aside from that, integrity and transparency are important. If in a situation you have a buyer who feels like you’re hiding something or feels perhaps you’re not being totally upfront and transparent, it’s going to make number one, due diligence extremely painful. Number two, it’s going to make the negotiation typically fall apart and the deal will end up falling apart. I’m a big believer from a sell-side perspective is to try to figure out what are the problems that a buyer is going to be looking at and plan for that. Plan for the explanation. Be ready and transparent with an explanation and provide how you might address that if you were in their shoes so that they don’t feel like you’re hiding anything. From a values perspective, those are important things, transparency and integrity. To our audience, if you’ve ever thought, “How can I expand what I’m doing?” one of the fastest, easiest ways to grow and scale a current business is to go buy into another business, which I’ve been blessed enough to do more than a few times to help expand our main core business line. If you’re starting from scratch, it’s a great way to walk into something that’s already got a baseline or a foundation set and give you more of a jumpstart instead of having to start it from scratch. 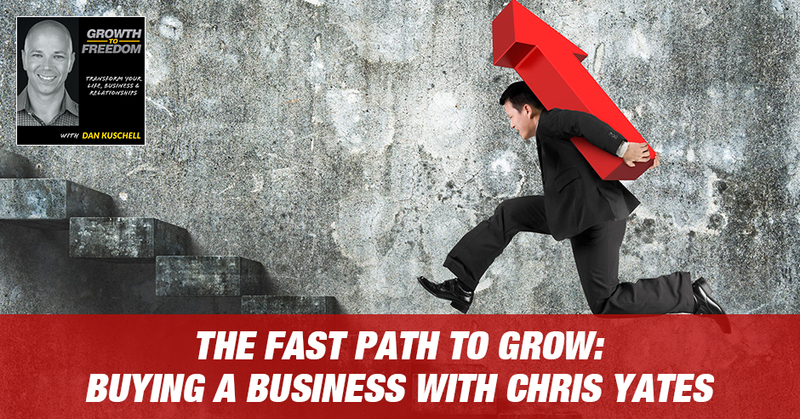 We’re going to dive deep with Chris to have him reveal some of his hidden unusual strategies for being able to be a professional buyer of a business. At the end of the day, wouldn’t it be great if you could buy low and then build it and sell high? That’s the ultimate dream. Chris has got a wealth of knowledge plus an entire community to lean on of experience. We’re scratching the surface here with Chris and his depth of knowledge. Chris, I’m curious about putting yourself in a position to buy a business. There are a lot of sophisticated buyers in the marketplace now. I remember when I was looking at selling my companies, I felt like I was going against a bunch of piranhas who had way more experience than me, who knew all the technicalities and all the laws. Thank goodness I had some good counsel, but I felt like a duck out of the water. It felt like everybody I was running into, I viewed them like they were the professional buyer. It was almost like seller beware versus buyer beware. What would you recommend for somebody who is looking to buy a business and do it in a professional way? If you had to pick the one to three most important things a professional buyer can do or look to do to set the stage for success, what would those be? Number one is knowing what you’re looking to buy is really crucial. What I mean by that is narrowing down the business models, narrowing down the niches, narrowing down the range or the discretionary earnings of the businesses that you’re considering buying. It will help you to then develop relationships with either brokers in the industry who have these businesses for sale or potentially to be able to do your own outreach to buyers, whether that’s going to events and networking or simply cold-contacting people. Number one is understanding your criteria so that then you can start building out your deal pipeline. I typically deal in the $500,000 valuation up to about $10 million, $12 million or something like that. What’s happening right now is very much a seller’s market. As a buyer, you have to be able to move quickly. You have to know what you want and you have to be able to get through your due diligence really quickly and even be willing to pay the asking price or in some cases, higher than asking price for the solid, good businesses that are represented by the more popular brokerages. Speaking of being able to do your outreach to build your deal pipeline, you provided an event that brings together top people from all over the country to connect, to collaborate, to contribute and to bring insights to help this process. What are some of the ways that someone can leverage a community to grow their client pipeline? A deal pipeline to be able to find a good potential business to be able to buy and get. Buying A Business: The number one rule is don’t lose money. Rule number two is see rule number one. There are a few paths. Number one is if you’re going to buy from a broker, it helps to have a personal relationship with the broker. To the point where you’ve shaken hands with them, you’ve broken bread with them and things like that. They feel like you are a qualified buyer who’s not going to waste their time. That’s very crucial to get an early look at some of their deals. That’s one of the things that I do to find the brokers in our industry anywhere is if they have a buyer who they know what they’re looking for, they know they’re well-qualified. They have a relationship with them or that buyer has been “a squeaky wheel” about what they’re looking for, they do tend to give them early looks. They don’t talk about it too much, but they do close deals before they ever hit their full buyers list. That’s one way that certainly you can do it. The other would be talking to entrepreneurs who have businesses they’re looking to sell. I personally don’t recommend going in with a real agenda like that into an event. If you create relationships with people with the intention this is a long-term business relationship and deals become a byproduct of that in my opinion. I’ve proven that out over the last years of doing this event. We’ve had well-over $100 million in deals that have happened. It’s not like they’re happening at the event. It’s because they met somebody who talked about their business, stayed and had conversations with them over a year or whatever then the timing happened to be right. I’m like, “I wonder if so and so would want to buy my business.” That kind of thing certainly happens. When it happens, if someone is going to position themselves as a qualified buyer, they’re new but they’ve got either experience behind them as far as growing companies or what have you. What are some of the criteria to set themselves up as a good, potential, qualified buyer for brokers? Aside from knowing specifically what you’re looking for, you’re going to have to fund a deal. You have to be able to prove that you’re going to be able to fund a deal. What we’re finding is if you find the right lender who can get this eCommerce, SAAS, content, online business deals done, if you can have a good solid lender you can work with, that lender has essentially prequalified you up to a certain dollar amount. It’s just like as if you were shopping for a home, you can get prequalified for a business loan, an acquisition loan through an SBA lender that’s going to help. 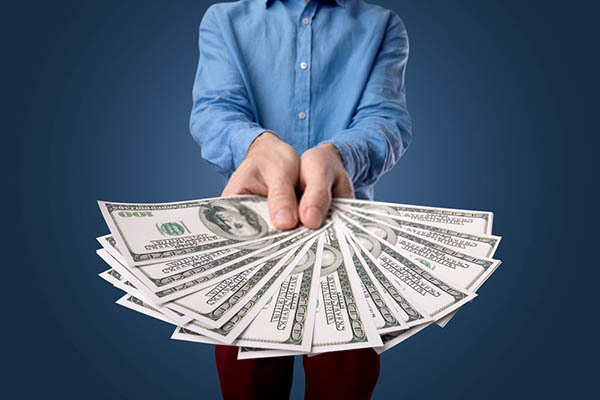 Even better is if you are backed by a private equity firm or you have your own cash and you can do a cash deal, you can show that to a broker knowing that you can move quickly because an SBA loan can take 45-plus days to complete. That’s going to be a good sign for the seller that they feel the likelihood of you moving forward is higher. Speaking of the likelihood being higher. Warren Buffett’s strategy of making and keeping money is his number one rule, don’t lose money. Rule number two is see rule number one. If someone is going into the process of buying a business, what are some little-known strategies to safeguard themselves as the buyer to minimize or mitigate their risk when they walk into buying that business outside of some of the standard due diligence things? What are some things that you recommend like creative mitigation? We could talk about deal structuring if that’s along the lines of what you’re talking about. Due diligence is extremely important. The nice thing with online businesses specifically is that you have so much data available to you. If you know what you’re looking at, you can look at the numbers and see what the story of those numbers are. One area where I feel like I have a unique skill set to understand the financials combined with the analytics combined with what the business model is and understand the whole story. If we’re talking about deal structuring, my opinion is the idea with the deal structure is to try to tie it to a specific risk that you’ve identified in the business. Let’s say for example, I rarely recommend that people buy businesses that are declining, whether that’s their marketing, their traffic or their profits or anything like that. If it’s declining, I usually recommend don’t do it unless you’re a turnaround expert or you’re very experienced and you realize the risk that you’re taking on. If there were a case where you wanted to do a deal that was declining, a good deal structure you can look at it is an earn-out. The purchase price is determined by the future performance of the business to some degree. It may not be 100% of the deal is an earn-out. Let’s say half of the deal structure is you pay 50% upfront and then the other 50% as a percentage of gross profit over a two-year period or something like that. It’s not set at closing, but what that does for you as a buyer is it shares the load of the risk with the seller. It gets them in your corner to help you be successful in the endeavor of turning around this business. There are lots of different deal structures you can play around with but that’s a common one for those scenarios. To our audience, what would happen for you if you were able to walk into a business almost risk-free? Mitigate your risk and greatest scenario where it’s based on the future growth of that business. How would that protect you? How would that set you up so that you could go in and make some smart choices in leveraging the business and the assets that are there? Chris, I can’t help but think that our audience is like, “I love the idea of being able to buy into that. 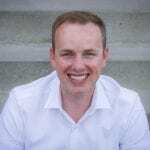 I love this idea of an earn-out where I can hinge, protect or mitigate my risk.” You have had a lot of client flow or deal flow over the years, hundreds probably, maybe thousands that you’ve had your hands in the kettle in one way or another. If you had to identify over the last couple of years, six months, three months, whatever, for you and maybe some of the close clients that you’ve worked with, what would you say would be one to three critical breakthroughs that not only have been game changers for you and your business but maybe your client’s business and could be a huge breakthrough for our audience too? One lesson I’ve learned painfully multiple times is that diversity is extremely essential. I look for diversity across the entire business. From the marketing, is it all relying upon one source of traffic or marketing channel? Then I look at sales channels. If it’s an eCommerce business, are you using Amazon plus your own online store plus eBay plus Walmart? That diversification is extremely important. In your supply chain, are you totally reliant upon a single supplier? What this boils down to is it’s risk reduction again. At the end of the day, for me it’s about control. Maybe I’m a little bit of a control freak and many entrepreneurs are. If you can’t control your own marketing, you can’t control your own sales channels and you can’t control your own supply, at the end of the day, you’re at the mercy of whoever does control it, whether that’s Amazon, Google, etc. That’s a lesson I’ve learned multiple times and the deals that have gone south for me have been a mistake in me evaluating how much control I had. Two, the flip side of that is an interesting breakthrough. It’s amazing how many businesses can get built on a single marketing channel with a single play, whether it’s combining Groupon with dropshipping or Facebook advertising with Alibaba. Those businesses can become, in a matter of a couple of years, businesses valued at seven figures. For me, it was the flip side of that same concept of diversity. You don’t have to diversify if you’re building from scratch and you’re willing to take on all that risk that things could go away right away. Once you want to build a professional business that could be an asset to be sold, it does require you to start thinking beyond these single playbooks and starting to move into having a few different playbooks in the mix. The last thing would be thinking beyond a single transaction. What that means to me is thinking strategically about your acquisitions or your buildouts. An example of that would be, let’s say I have an eCommerce business that sells dog food. What are the other problems that dog owners have? We know they have training problems. Maybe you can start getting into products related to training or maybe you can get into informational product or something like that. It doesn’t always have to be something that you build along with the brand you already have. You can add bolt-on acquisitions or start new sister companies. With marketing specifically, with custom audiences on Facebook, email lists, all those things you can cross-market. What you end up with is a bunch of solutions around a market segment and utilizing acquisition strategically along with buildouts and things like that to solve all the problems in that space. The conglomerate that you’ve created, the roll-up or whatever you want to call it can be much more valuable as a result of that. Diversity is essential. You can build a sustainable, prosperous, healthy business even with a single value chain. Go beyond a single transaction by identifying what other problems do your potential clients had and then work on the buildouts, whether that’s internal or even creating the right strategic partnerships to add value in the marketplace. If people want to go deeper with you, if they want to get a taste of how you help people simplify this process, eliminate, if not reduce the complexity around buying and/or selling. What’s the best way people can reach you and tap into all the amazing resources you have available? Buying A Business: Diversity is essential. You can build a sustainable, prosperous, healthy business even with a single value chain. The simplest way to do it would be to go to my Rhodium Weekend website and that’s RhodiumWeekend.com. The way that I do the event in that community is it’s all by interview before people get invited. It’s an invitation-only but people can apply. If you were to go there and apply, you would have the option to schedule a fifteen-minute call with me. We’d have a chat. I’d learn more about you and we’d find out if there’s a fit. Maybe I’d be able to answer a few questions as well. The knowledge in the community that I’ve built is fantastic. I’m a big believer that if you get a bunch of people with a pay-it-forward mentality who are willing to share their experiences, it’s amazing the knowledge you can gain and the mistakes you can avoid by being tapped into that community. The simplest way to do it would be to have a chat with me and see if it makes sense for you to get into our community. One of the shocking things that I discovered was there are a lot of different events in the marketplace now. There are a lot of them that are $5,000, $10,000, $25,000 for a couple days and you’ve created something for a fraction of that and it seems like it offers a whole lot more. You’re going to have a real value of buying, selling and you have ongoing support through a private community that you set up. I encourage you, if something here has sparked your interest in the process of buying a business or looking at being in a position to better sell a business, being able to add on like a merger so you can expand a current business that you’ve got, I want to encourage you to go deeper with what Chris has been sharing with you here. He’s got a wealth of resources. If you want to go deeper, schedule a call and request your invitation. You’ll have a fifteen-minute conversation directly with Chris and you can figure out if it’s a good fit for you. Chris, what’s one question I should have asked you that I didn’t? Maybe how I started my event because it’s relevant. In 2012, I got to the “Four-Hour Work Week.” I had been acquiring a bunch of online businesses. It got to the point where I had the time, location and freedom. I sold my marketing agency. I no longer had employees or clients or any of that kind of stuff. I lived in Montana. What I didn’t realize with this big goal that I’d achieved was how isolating it can be to have success, especially online business when you live in Montana. People offline did not speak the same language. I couldn’t talk about this stuff. That was the genesis. Sometimes it’s lonely at the top. That was my original impetus to starting the event. Back in 2012, I feel that maybe I wasn’t tapped in to the right communities, but now there are so many options that I feel like people can tap into to have the sounding boards and all the things that you would normally get. In a more corporate world that isn’t as readily available for you as an entrepreneur. I was the guy who was friends with everybody and somewhat of an athlete. I was number two in my class. The only reason I was not number one was that I got a B+ in keyboarding, which is ironic given that I use a keyboard to make my living. I grew up in a small town. What would you say has been the biggest mistake you’ve made in business and in your career and what did you learn from it? The first thing that stood out to me was one of our first larger acquisitions, our first six-figure acquisitions. It was going fantastic but then a couple of things happened one right after the other. One was our email service provider shut us down. We lost over 100,000 subscribers overnight as a result of that, along with the revenue that came from that. Then two was we got hit by Google algorithm update on that same website. Not too long after that, our traffic went from strong to 20% or something like that, then revenue followed. For me, that was probably one of the most painful lessons. I do look back on it now though that, not that I’m glad that it happened, but I think the lessons I learned are so helpful for being able to share with clients and other people. Two, the confidence that I got on turning that thing around even though I probably shouldn’t have. I’ve put a lot of time and effort into basically completely transforming the business model so that that wouldn’t happen again and I was able to recover that business. That huge dip that was out of my control combined with the confidence that comes from turning around something like that has been a fantastic lesson for me. You’re a pretty young guy. If you were to turn to your 25-year-old self, knowing what you know now, what new wisdom or guidance would you give your 25-year-old self that would help you now? 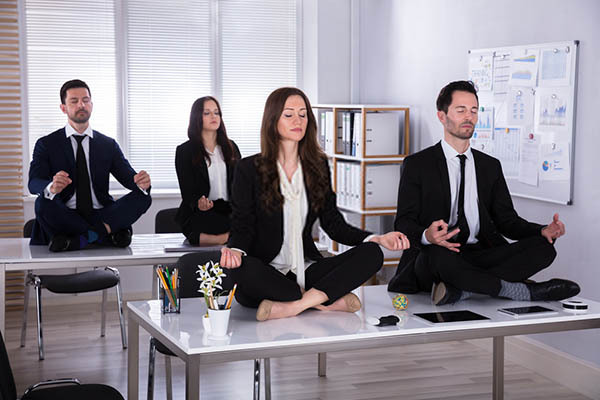 Logically speaking, it would be that you’re the average of the people you surround yourself with and really focus on surrounding yourself with amazing people. That’s played out in so many ways looking back at how the dots have connected with all the people who’ve helped me at different points in my life and things like that. Emotionally, it would be take the brakes off and don’t be afraid to be a leader. I chose for many years around that age to be comfortable behind the scenes, to be almost proud that I wasn’t front and center on anything. It was very painful to get beyond that, but I was able to. It was an important lesson and I always say that business is like the best personal development course you can ever go through being an entrepreneur. From a personal growth perspective, it was a great process but at times very painful. I want to dig a little deeper on that one because a lot of entrepreneurs face this in different ways. It’s not talked about that much and that is coming out front. For you, how did that unfold for you? What was your process of moving from behind the scenes to stepping out front and making that shift? Without going into too many details, I had a mentor who was my business partner. From a partnership perspective, we were fantastic compliments to one another. The negative is that if you’re not careful, you can lean on somebody else and their strengths and not develop those in yourself. A lot of times I would defer to him and always had a feeling in my head that I required to stay in my place in that business. Not that he prevented me from doing that and many times he encouraged me to do it differently, but it was where I was comfortable. What it took for me was with that partnership, I ended up buying him out and deciding like, “If I’m going to do this, I need to step up and I need to take ownership of this.” It was somewhat like a result of him wanting to move to do other things and me wanting to continue doing this thing. It was so much thrust upon me. The way that I did it, I went through some personal coaching. I hired a coach to help me through the process. Can you put yourself back in that time a bit where you were in this business partnership, you’ve got a lot of time, a lot of energy, you’ve got an emotional commitment and the energy around that? What do you remember struggling with most in essentially making that leap? It took a process of understanding what the scripts were going on in my head. An example would be that you always overthink everything or identifying what those negative thought cycles that are happening. What I did was through that process, I was able to document, are all the beliefs that I’ve developed in my head about myself whether or not they’re positive. In some cases, when you do this process, you can look at them in very negative ways. Every weakness can also be looked at as a strength. Going through and looking at what the negative self-talk that was happening and then trying to line those up like a domino and identify like, “What is the new belief and a new script that I can install into my brain that has a domino effect to improving the rest of these?” For me, it was around you are a leader. Taking on the identity of a leader. As I went through that process of reinstalling that script in my brain, it took care of a lot of those other issues. Those other issues transformed into my strengths now. An example of that is this would be a negative thought. I’m not the type of person who can be on stage and perform. What I did instead was I’m like, “What I am is I’m great at being a connector and not making the focus about me but making the focus and bringing the people in the community together.” Instead of me being a performer, I can be a very strong facilitator of connections and things like that. It was transforming some of those. For me, it came to have and figuring out how can I look at myself as an identity of a leader and step into that? What was the toughest false belief or negative belief you think you had to deal with back then? That I’ve always been good but never great. I felt that the pattern had been there throughout my life. I was number two in school, not number one. I made the basketball team, but I wasn’t the star player. I had a good business, but I wasn’t great. I could program but I’m not the best programmer. It was a repeating theme like that and that was a difficult one to get past. One of the things my coach said to me was, “Would you ever say that to your kid?” If you’re saying something to yourself that you would never say to your kid, that almost brought me to tears. I’m like, “I would never say to my kid is just good and he’s not great.” A good test for these self-thoughts is like, “Would you say this to somebody you love?” If you’re saying that to yourself, maybe that’s something to think about. We’ve talked about some tactics and we’ve talked about some strategy. We’ve talked about some of the beliefs and belief patterns that can hold us back. If you had to pick one of all of those that were the most important things in your journey and you think that most business owners can apply, what advice would you give to people? From the time that we’ve now spent in closing with this belief area, what would be one to three action steps you hope that our audience would take from here? Buying A Business: I’ve always been good but never great. Zooming back out a little bit on what we’ve talked about, in many cases, the thing you want is easier to acquire than it is to build from scratch. In many cases, it can be much less risky. Whether if you’re looking to build authority, there are ways you can go out and acquire things that will help you get authority. If you’re looking for cashflow, there are ways you can acquire things to get cashflow, that option for people who maybe don’t think about it from those terms. You have two things you can invest, your time or your money. One of those is typically a scarce resource. If your time is scarce, you have money. Acquisitions are a great path. If we talk about entrepreneurship and some of those types of things, your business tends to grow to the extent that you, as an individual, can grow and get out of your own way, whether that’s building a great team around you or building a great network of other entrepreneurs who can support you, etc. Those are ways you can accelerate the process. At the end of the day, you do need to grow as an entrepreneur and you’re going to be forced to unless you’re happy with where you’re at. I encourage the audience, go check out what Chris is up to at RhodiumWeekend.com. Chris, I want to thank you for opening your heart to us, opening your soul and being vulnerable. Thank you for sharing some of the challenges you had and also some of the amazing work that you’re doing. You certainly are a leader. It’s a pleasure that we’ve gotten a chance to know each other. I hope we can continue to deepen our relationship as we go. Dan, I am honored you have me on. I appreciate it. Thanks everybody for joining us. I want to encourage you to take action with what Chris has been sharing with you. Thanks for making us part of your day. Enjoy the week, seize the day and we’ll see you next time. Founder of Rhodium Weekend and Owner of Centurica. 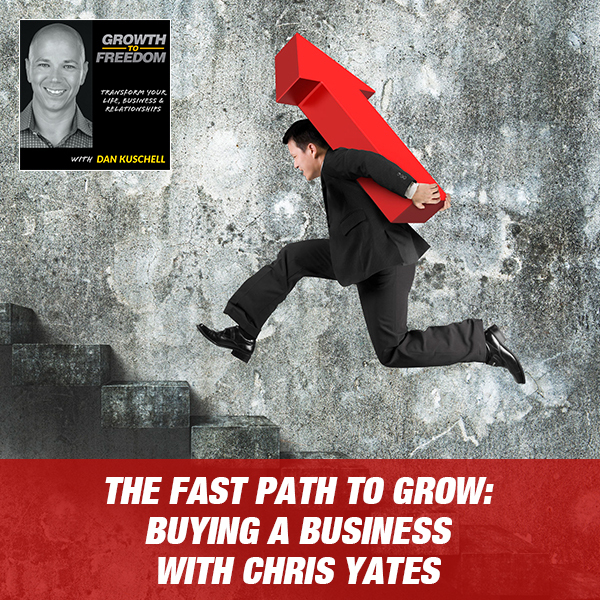 Chris Yates is a digital entrepreneur who has successfully started, grown, and sold several online businesses and has been an advisor on over $100 Million in online business acquisitions and exits. In addition to managing his portfolio of online businesses, he also connects other online entrepreneurs through his live annual event and community called Rhodium Weekend.